Sharing a meal with the people you love the most is an incomparable feeling—especially for the Muhlach family. 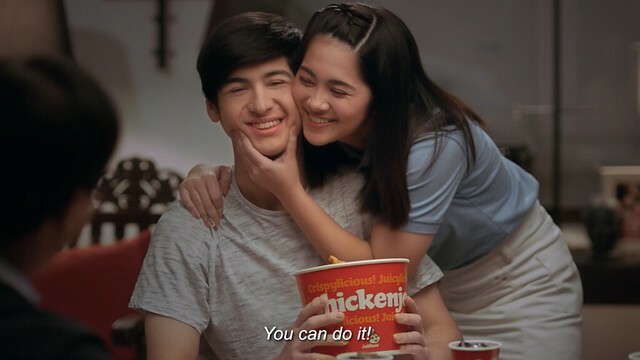 In their latest Jollibee commercial, the celebrity family once again reveals a side that many Filipino families can relate to. 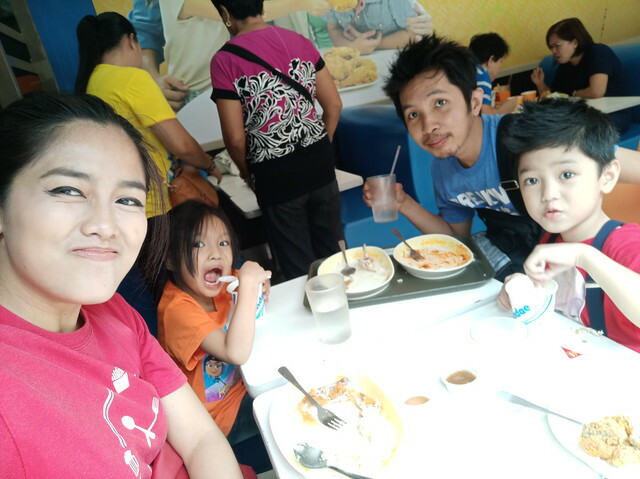 We see Aga, Charlene, and their twins Andres and Atasha sharing a bucket of their favorite Chickenjoy while talking about their day and what truly matters for them: the love of family. 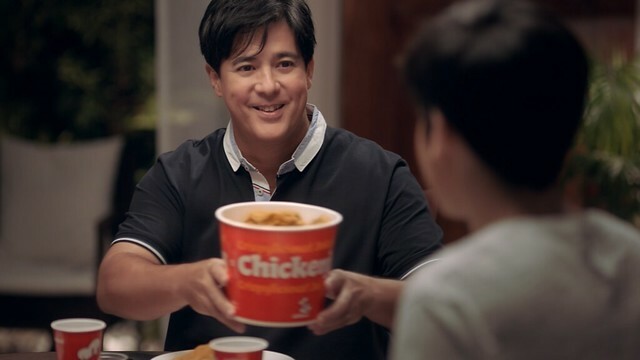 This newest commercial strengthens Jolibee's message of family togetherness, with quality bonding time made even more special with the crispylicious, juicylicious, walang kasing sarap Chickenjoy. This commercial captures a heartfelt moment in the Muhlachs’ dinner meal, each member sharing why it’s best when they’re all together as a family. I and my kiddos were really moved by the commercial. It tugs at your heart and soul. Just like how Charlene puts it, I too believe that the best gift we can give our kids is quality time together. If you feel you don't have time for the extravagant ones, you can simply sit down together for a meal, listen and understand your kids, ask about their day and so on. 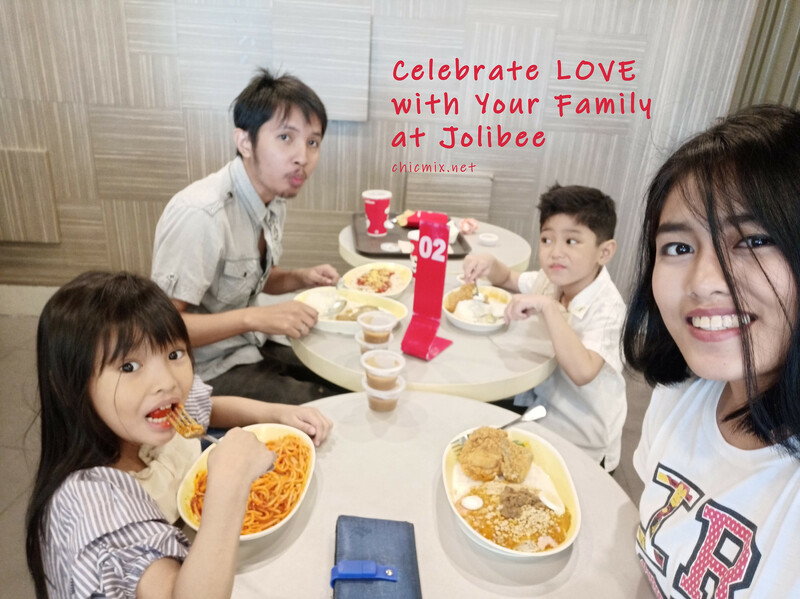 And while my daughter might not be able to enjoy chickenjoy due to her allergies, we always have a lot of fun and celebrate this love we have for our family with a bucket of chickenjoy, some fries and spaghetti. My son definitely enjoys that crispy balat to the fullest much like Aga and his family. So for this summer, give the best to your family and make bonding moments more special with the best- tasting Chickenjoy. Indulge in the crispylicious, juicylicious goodness while basking in the love of family. Prices start at PHP 75.00*.